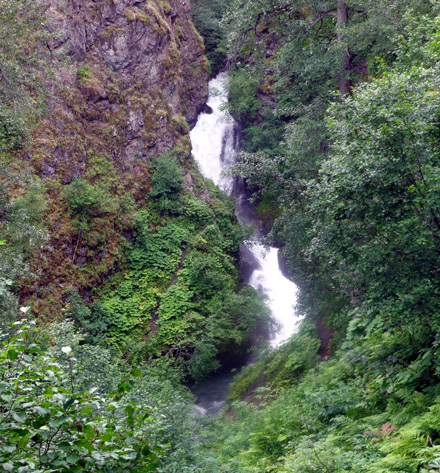 "The 200-foot-tall Thunder Bird Falls can be viewed at the end of a pleasant one-mile hike. 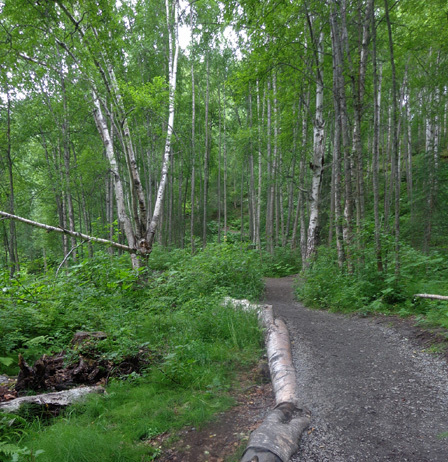 The trail passes through birch and cottonwood groves bordering Eklutna Canyon. In the winter, the falls often freeze, producing a natural ice sculpture." What a beautiful day! Everyone in South Central Alaska was probably as thankful as we were to see lots of sunshine today. It began quite overcast but by noon we had more sun than clouds. It remained mostly sunny the rest of the day/evening. Temps ranged from the low 50s F. to the low 70s in the Anchorage Bowl and just north of there in the Eklutna (ee-KLOOT-na) area, where I spent the day. Since I had the truck most of the day Jim did a long ride on base � 26 miles. 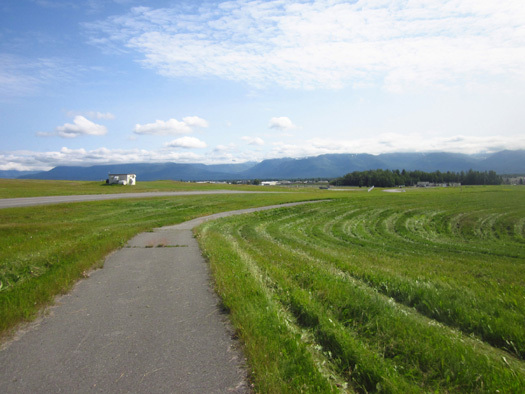 He's got loads of paved and dirt bike paths and roads to ride at JBER. 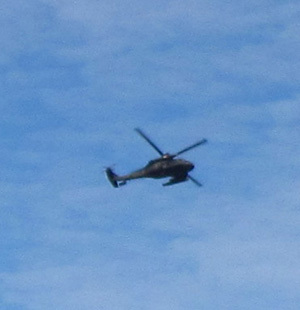 Some aircraft fly every day for training purposes but there are more now because of this weekend�s big Arctic Thunder Air Show, which is performed every other year at JBER. About 100,000 people are expected at the show on Saturday and Sunday. A preliminary show is scheduled Friday for special needs folks and other visitors. 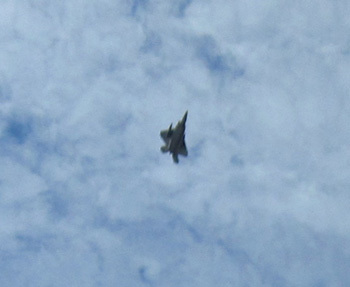 I was surprised to see two F-22s over Lake Eklutna in the afternoon while I was climbing in the Twin Peaks area. 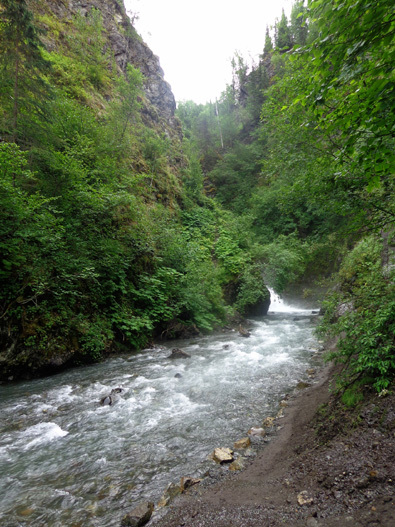 I accomplished what I planned today � hiked to Thunderbird Falls with Cody (2+ miles total), then did the Twin Peaks Trail above Lake Eklutna (another 6 miles). 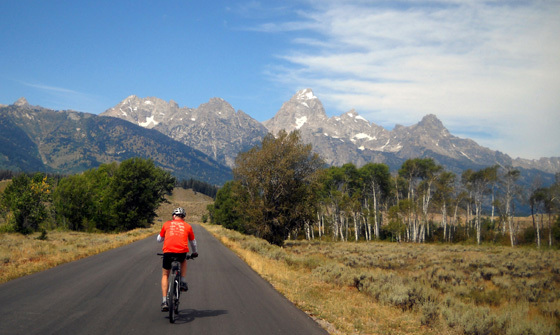 It�s about 11 miles to drive between the two trailheads. 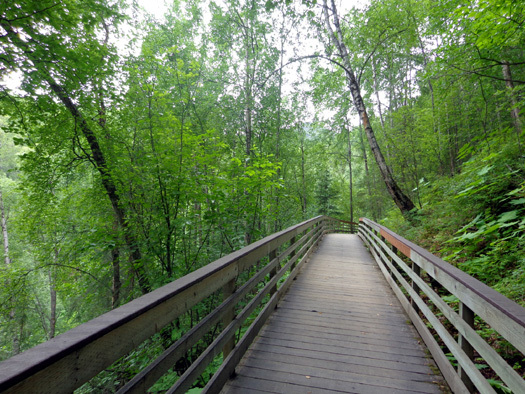 This park web page briefly describes both trails. 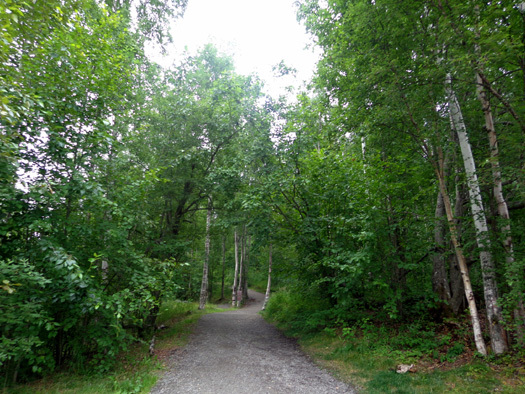 Because both trails are in Chugach State Park I paid just one $5 fee to park. 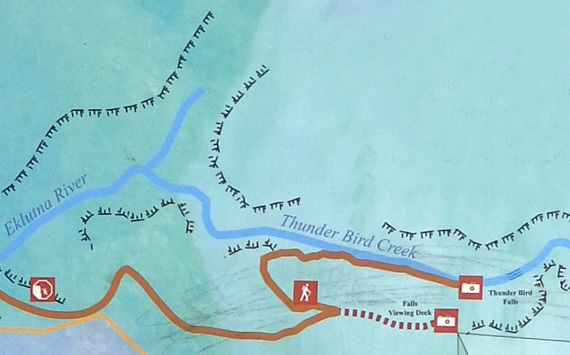 According to the sign at Thunderbird Falls, you can go to any of the trailheads on the same day and pay the one fee as long as the original permit with that day�s date is used at each parking area. 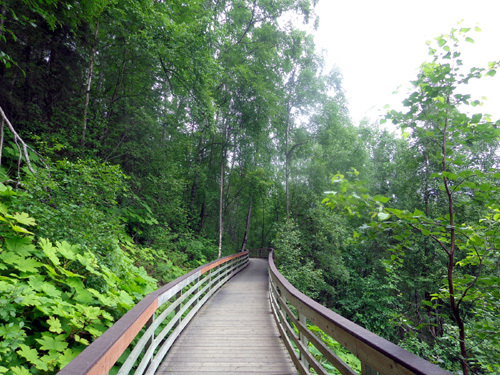 I'm up to $20 now in individual Chugach SP parking fees (an annual permit costs $25). It'll be interesting to see if I go over $25 this summer, which will mean I should have gotten the annual pass when we first got to Anchorage. I'm confused whether Thunderbird is one word or two. 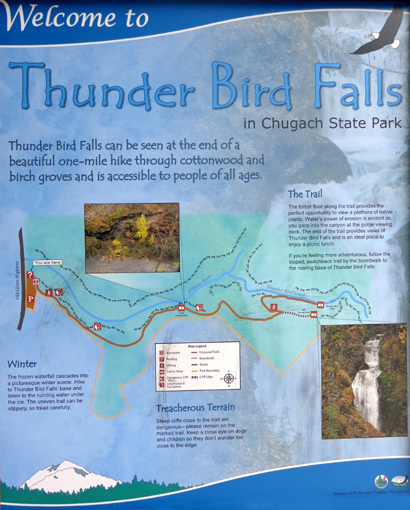 Two official Chugach State Park web pages for the falls and trail use both Thunderbird and Thunder Bird. 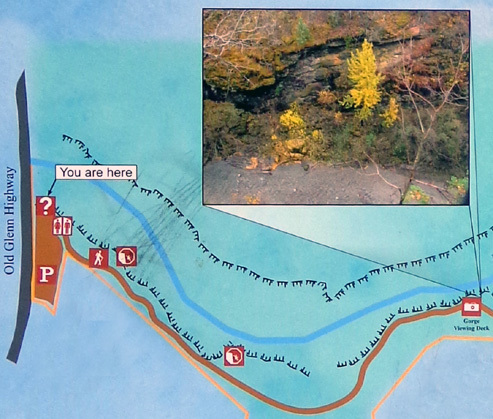 The official printed map and description for the park has just Thunder Bird for both the trail and falls. I'm more used to writing "Thunderbird" so I'll continue to use that. 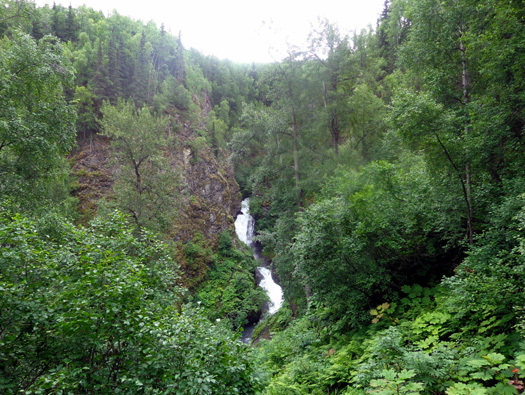 Thunderbird Falls is north of Anchorage on the Glenn Hwy. at MM 25.2 There was only one car � and one school bus � in the parking lot when I arrived at 9:30 AM. Cody and I had the trail to ourselves for the first 3/4 mile to the intersection where the trail splits into an upper and lower section. 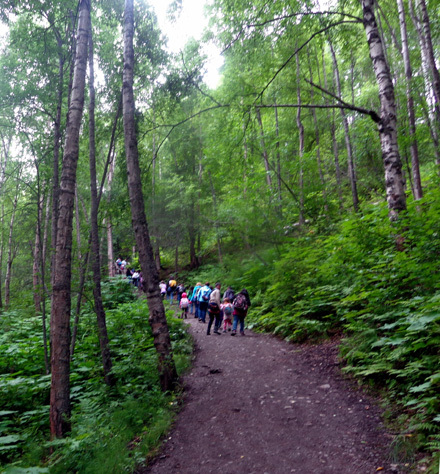 The wide, mostly smooth trail follows a narrow wooded corridor of birch trees and shrubs between private property on one side and a steep cliff above Eklutna Canyon on the other. He's always been very good about keeping away from edges of cliffs. Some dogs and kids may not have as much sense so be careful if you hike on this trail with an impulsive two- or four-legged companion. When I got to the Y intersection I could hear what turned out to be about 30 six and seven-year-old kids and several young adults who were chaperoning them. They were on the lower trail so I took the shorter, upper trail first to try to avoid them. The falls looked to be fairly full from recent rain and snowmelt. There was a lot of water spray above the falls so I couldn't get a very clear picture of them.. 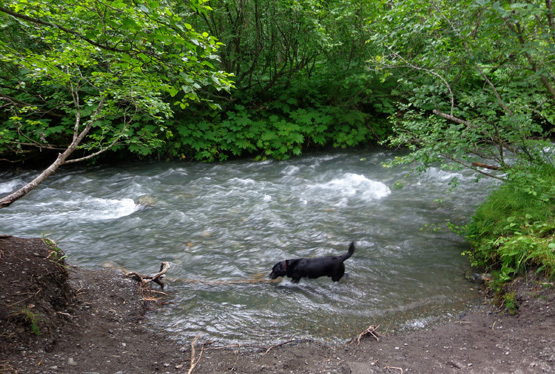 I didn�t see any fish in the creek. I don't know if salmon go upstream here to spawn or not. It'd be quite a feat to swim up those falls but if they can get up all the falls on the Russian River, they can probably swim up these, too. 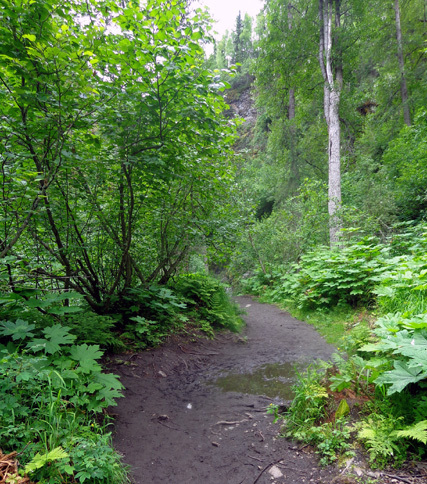 Note that the lower trail is more narrow than the main trail, it is not as smooth, and it tends to get muddy. The upper trail was dry today. 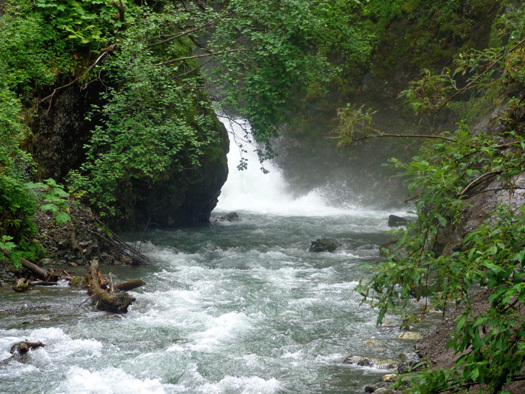 To see the entire series of the falls from the bottom you have to either walk through boulders at the edge of the creek or through thick brush on the hillside. It just wasn't worth the effort to me to bushwhack any farther than this. 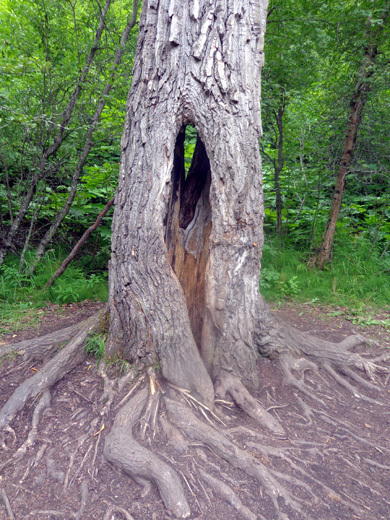 If you venture close to the bottom of the falls beware of water damage from the spray to your camera or cell phone. 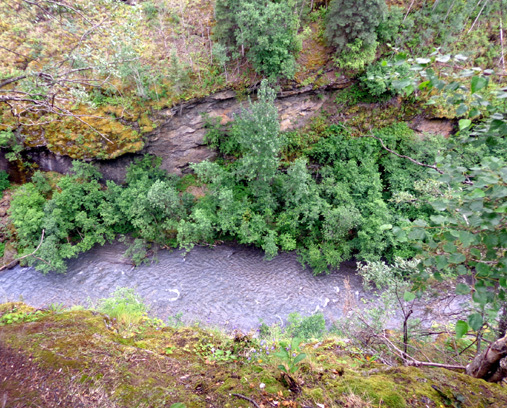 At the trail juncture I could hear the kids at the upper overlook but couldn�t see that far. I got back to the truck without seeing them again. That worked out pretty well! They were well-behaved kids but they were loud. I prefer my hikes to be more peaceful. Outbound I saw only one couple. On the return I saw about 20 people. That was good timing, too. This trail was hillier than I expected. 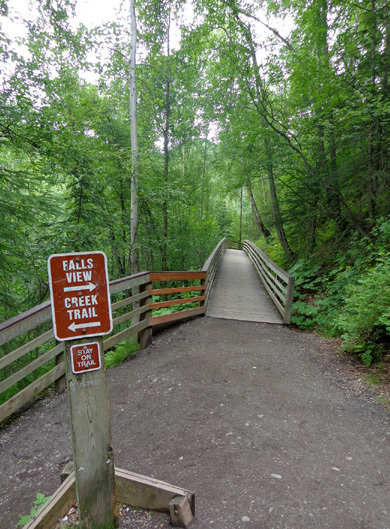 It�s listed as "easy" on my list of local Anchorage trails because the trail surface is relatively smooth and the elevation gain is only about 100 feet on the main trail. 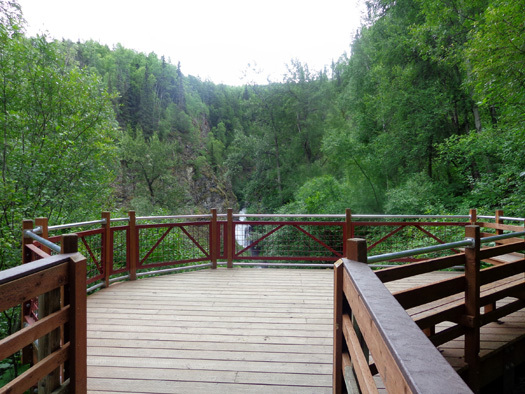 Add another 100 feet and rougher surfaces if you go down to the lower trail, too. 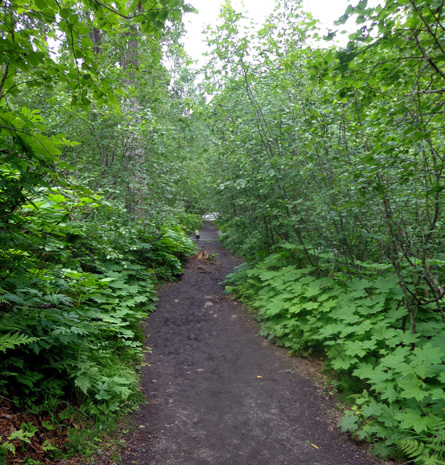 It was easy for me but I don�t think the lower trail would be "easy" for some folks who are less athletic. 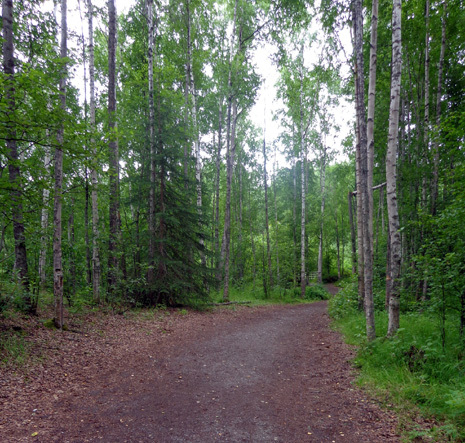 I�ve decided that the trail ratings I've seen so far in Alaska are local standards; they seem tougher than most trail ratings in the Lower 48.